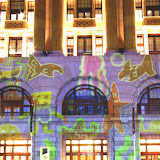 Community Street Projection back in Perth for 2009! 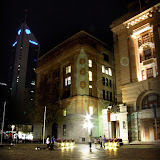 After along rest I finally organised my first collaborative community event in Perth for 2009. 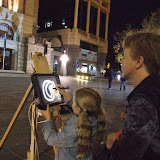 As usually the facebook flashmob Street Projections Perth was mobilised onto the streets to decorate the architecture with light. 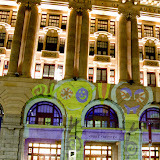 Painting with my Tablet PC we gave Perth’s General Post office in Forrest Place some new paint schemes. 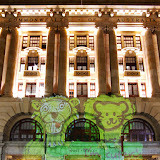 We even had a surprise visit from Kat and Jasper who appeared above us projecting their VJ clips on the same building. There was also plenty of new artists coming out of the wood work including the group of local Police officers who took a break from duties by defacing the side of a landmark city building. 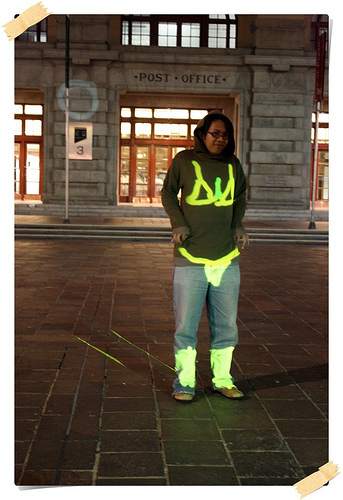 Hopefully getting more photos of that soon.